I should do a quick workout… but I have three seasons of “Game of Thrones” to catch up on. I want to try that new chicken recipe… but I don’t have any ingredients. I’ll make it tomorrow. I shouldn’t hit the drive-thru… but I’m tired and hungry. I’ll start eating better next week. Making excuses for why you can’t stick to (or start) your healthy commitments is a common part of the weight-loss process. But now it’s time to develop techniques and strategies for busting those excuses so you can start making progress. “No matter your age or weight, there’s no better time to start managing your health than right now,” says Jackie Newgent, R.D.N., culinary nutritionist, and author of The All-Natural Diabetes Cookbook. “Every small change you make can add up to big differences in the long run, whether you’re 18 or 80. [And] if you’re overweight, every pound you lose can potentially help extend your life and, perhaps more importantly, add more life to your years,” she adds. But how do you stop making excuses and actually get started? Kyrin Dunston, M.D., FACOG, says it’s important to first identify what you want your life to look like. “Instead of setting endpoint goals that may seem overwhelming and impossible to accomplish, set goals for behaviors you want to cultivate,” Dunston explains, like doing some form of cardio every other day or cooking one new recipe a week. The process of losing weight can seem like rocket science at the beginning. But here’s the truth: You don’t need to have an advanced degree or set of special qualifications to start getting fit and shedding pounds. “You don’t need a gym membership, a trainer, or fancy prepared meals,” says Dunston. “Start with the basics we learned in grade school: Eat less, move more. It doesn’t need to be a big production,” she explains. In other words, start by making one healthy decision one decision at a time. Climb the stairs to your office. Squeeze in a set of squats as you wait for your coffee to brew. Pass on that afternoon snack. Take a 20-minute walk around your neighborhood after dinner. Keep things simple, says Dunston. Before long, the seemingly small decisions you make to prioritize your health will add up. The prospect of losing a large amount of weight is nothing short of daunting, but you don’t want to pull yourself out of the game before you’ve even taken a swing at bat. “[I have too much weight to lose] is a self-defeating statement,” Dunston says. She recommends reading stories by people who had more weight to lose than you and were successful in their efforts. Use these success stories as inspiration and confirmation that your goals are possible. You should also try reframing your thoughts: Instead of focusing on an end result that feels light years away, focus on making small changes that will carry you — slowly but surely — toward a healthier version of yourself. Celebrate progress over perfection. You’re never too old to start taking control of your health. Strength, agility, and energy aren’t perks limited to the young. “The human body is designed to adapt, and it retains that ability right up until the moment the heart stops beating,” says Trevor Thieme, C.S.C.S. and Beachbody’s fitness and nutrition content manager. “That means no matter how old or unfit you are, your body is always ready to improve its condition,” he explains. In fact, research shows that adults over the age of 65 who lift weights just twice a week don’t just lose fat and gain muscle, they also lower their risk for all-cause mortality. Start with one thing you’d like to change — whether it’s eating more colorful meals or trying a new workout — and make it happen. Here’s an unfortunate truth: Life will always be busy. In fact, there’s a high likelihood that it may become even busier as time goes on, and your commitments and responsibilities double. Don’t wait for some ideal, arbitrary future time to start taking charge of your health. “You can’t lose weight in the future, ever. You can only ever do it in the now,” Dunston says. “Because weight loss requires changes in behavior that, if you are not willing to make right now, you can’t ever make in the future,” she adds. And you don’t need a gym membership or fancy equipment to get a killer workout in. Sign up for streaming workouts and you can get your sweat on whenever you want from the privacy of your own home. Plus, workout programs you can do online makes it easy to stick to your goals while you travel. “You can work out anywhere you can access the Internet with a computer or mobile device,” Thieme says. Push your health to the top of your to-do list. Instead of viewing exercise and meal prep as optional activities or bonus tasks for when you have extra time, make them non-negotiable commitments, like brushing your teeth, showing up to the office on time, or picking up your kids from school. “People get bogged down in the idea of transitioning from how they’re eating to eating a perfect diet,” says Paige Benté, M.S., R.D. But it doesn’t have to be black and white — even the smallest changes are beneficial, she explains. Start with whatever seems most doable. Drink one less soda a day. Eat fruit as a snack. Sip a glass of water before every meal. Eat your sandwiches open-faced or wrap them in lettuce. To incorporate more veggies into your meals, “fill half of every lunch and dinner plate or bowl with non-starchy veggies,” Newgent says. Focus on eating whole, minimally processed foods as much as possible. Newgent also recommends making small tweaks to your favorite meals, like doubling your veggie servings or swapping refined grains like white rice and white bread for whole grains like brown rice, whole-wheat pasta, or quinoa. Pro tip: If you’re not a huge veggie lover, or find it hard to eat right when you’re busy, a daily Shakeology can help you hit your nutritional goals. Find your new favorite Shakeology recipe here. You don’t have to break the bank with expensive ingredients and complicated kitchen tools to cook wholesome meals. In fact, it can be as easy as tossing everything in a single pot. Bookmark healthy recipes and learn some new tricks and you’ll be a master chef in no time. “Stock up on nutritious quick-cooking and no-cook ingredients, such as canned beans, canned low-mercury tuna, nuts, seeds, dried fruits, and whole-wheat couscous,” suggests Newgent. “Keep healthful entrees stashed in your freezer, too, such as veggie burger patties and bean burritos,” she says. And remember, eating healthy doesn’t mean you need to buy everything fresh. “Frozen vegetables are your friend,” Benté says. “They’re usually picked at their peak of ripeness and flash frozen on-site, so they maintain their nutrients,” she explains. 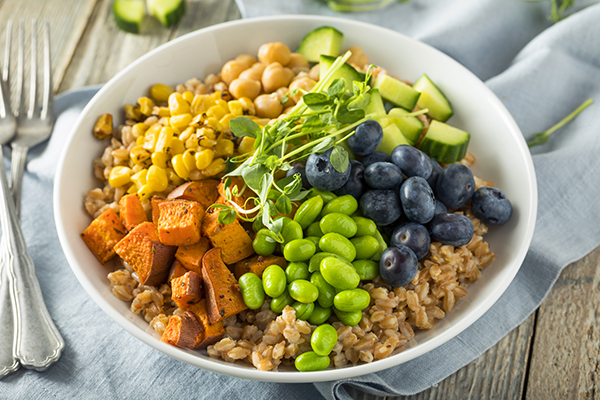 For a quick and easy lunch or dinner, Benté suggests making a burrito bowl — skip the sour cream and shredded cheese — with meat, frozen veggies, precooked quinoa, and a scoop of hummus or salsa. To save even more time, learn how to meal prep so you always have healthy options ready to go. You don’t have to cook two separate meals — grilled cheese for the kids and grilled chicken breast for you — to feed your family and stay on track with your weight-loss goals. Instead, aim to cook more healthful versions of your family’s favorite foods. “For instance, if pizza is their pick, have pizza!” Newgent says. “But begin the meal with a salad, even if it’s just a very basic one. After salad, serve the pizza. Go light on the cheese and thin on the crust. Try fun-cut veggies or even pineapple as a topping,” she says. It’s also a good idea to get the kids involved in the shopping or meal-prep stages of cooking. Look at fun recipes you’d like to try (like frozen banana pops or breaded chicken tenders), then spend time together in the kitchen experimenting. “The more they’re involved, the more they’re likely to eat the healthy foods you serve,” Newgent says. If you’re too stressed to exercise, then exercise is probably exactly what you need. “Exercise calms and focuses the nervous and hormonal systems and directly counteracts the effects of stress on our brains and our bodies,” Dunston says. In fact, the stress of exercising usually lies not in the exercise itself, but in the process of figuring out how and when to squeeze in a workout. That’s why Thieme recommends finding a way to make exercise a normal part of your daily routine. Eating out and eating healthy aren’t mutually exclusive. What’s more, learning to manage your temptations and confront any unhealthy eating habits in social situations that revolve around food is a crucial part of the weight-loss process. When you feel sapped of energy, the last thing you want to do is push yourself physically. But oftentimes, you may feel lethargic precisely because you haven’t exercised. “Research shows that as long as you aren’t overtraining, exercise often has an energizing effect on the body,” Thieme explains. “So if you feel too tired to workout, try working out anyway — you’ll likely find that you walk away from your training session feeling very differently,” he says. You should also focus on getting more sleep. 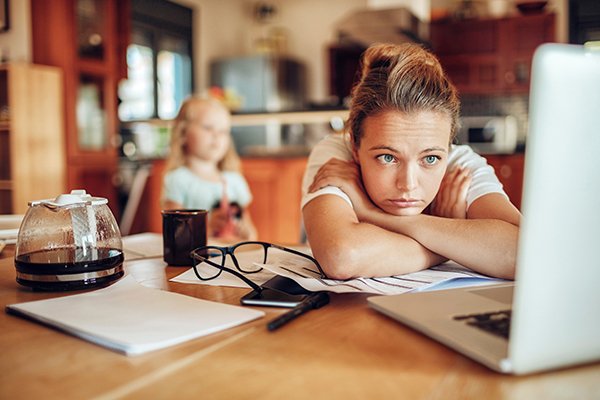 “Most people don’t get the recommended minimum of seven hours of sleep a night, and racking up sleep debt can torpedo your energy level,” says Thieme. When all else fails, try exercising in the morning. “Our energy levels are highest after a good night’s sleep, we haven’t experienced the drains from the day on our energy at this point, and competing responsibilities are at a minimum,” explains Dunston. Feel free to incorporate your favorite foods and indulgences into your routine, but be aware of portion sizes and aim to make healthy modifications whenever possible, advises Newgent. For example, if you love comfort food like mac and cheese, “plan to have half a bowl of macaroni and cheese and half a bowl of steamed spinach, then mix them together so you’ll have a bowlful of goodness,” Newgent adds. Exercising shouldn’t be a chore. “If you don’t enjoy [it], you haven’t found the right type of exercise, workout program, or trainer for your fitness level and personality,” Thieme says. Try mixing up your exercise routine with something you like, Dunston recommends, whether it’s dancing, running, or riding your bike around town. You can also work out with a friend to keep things interesting, or listen to a juicy podcast or fun playlist to make the time pass more quickly, she adds. The most effective strategy for weight loss combines regular moderate to high intensity exercise with a healthy, balanced diet. Focus on cutting down on unrefined, processed foods, and aim to get 40 percent of your daily calories from carbs like veggies, fruits, and whole grains, 30 percent from lean protein, and 30 percent from healthy fats. Beyond exercise and healthy eating, make sure you’re getting plenty of sleep, staying hydrated, and keeping your stress levels as low as possible. It’s never too late to start taking ownership of your health. But before you get overwhelmed at the prospect of overhauling your diet or beginning a new workout regimen, start small: identify one healthy change you can make and commit to it. 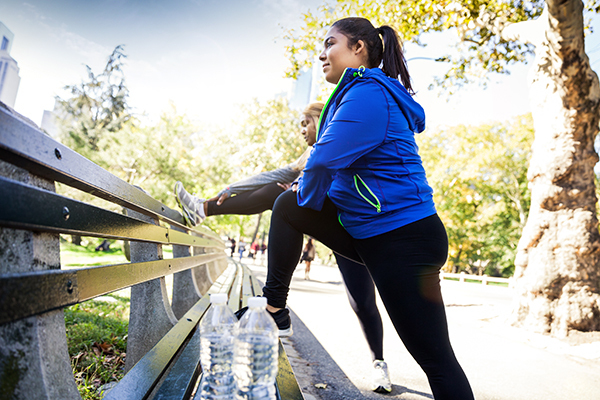 Before long, you’ll have a newfound sense of confidence that’ll help you incorporate even more healthy habits into your life so you can lose weight and feel your best.